Dr. O'Shaughnessy enjoyed a very wonderful career guiding people towards proper health. 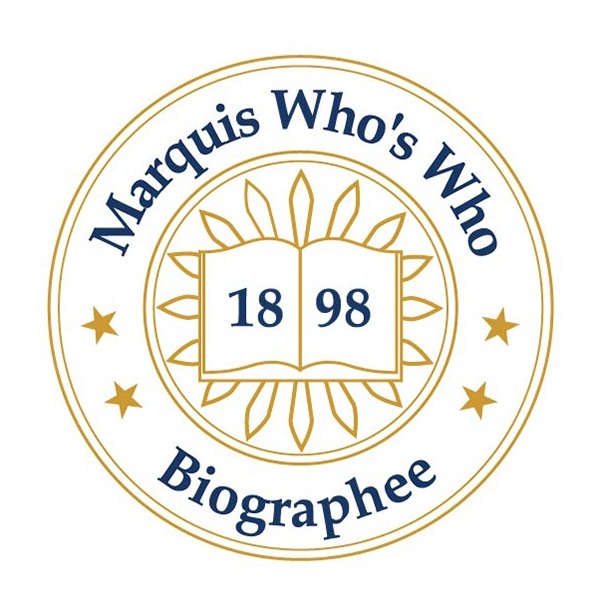 KISSIMMEE, FL, August 17, 2018 — Marquis Who's Who, the world's premier publisher of biographical profiles, is proud to present Rosemarie I. Rao O'Shaughnessy, PhD, with the Albert Nelson Marquis Lifetime Achievement Award. An accomplished listee, Dr. O'Shaughnessy celebrates many years' experience in her professional network, and has been noted for achievements, leadership qualities, and the credentials and successes she has accrued in her field. As in all Marquis Who's Who biographical volumes, individuals profiled are selected on the basis of current reference value. Factors such as position, noteworthy accomplishments, visibility, and prominence in a field are all taken into account during the selection process. A retired clinical nutritionist, Dr. O'Shaughnessy enjoyed a very wonderful career guiding people towards proper health. Following in the footsteps of her father, whose extensive background in healthcare included owning his own hospital and bringing modern medicine to Central Florida, she desired to study nutrition in order to carve out a career in the field. Dr. O'Shaughnessy was additionally inspired to follow this professional path from her personal experiences, including nearly dying after eating improperly fertilized vegetables while living in Colombia. Operating in a private practice in clinical nutrition between 1979 and 1991, Dr. O'Shaughnessy also formerly served as the president of Maria W. RAO Business Inc. and worked in various capacities for Wonderland Inn Inc., RAO Properties and Beauticontrol Cosmetics. Additionally, she held the positions of associate instructor at Donsbach University and founder of the Florida Association of Nutritional Consultants, which then became the International Association of Nutritional Consultants. Dr. O'Shaughnessy has been a certified nutritionist since 1991. An expert witness for clinical nutritionists and nutritional consultant testimony for State Legislatives Committees, State of Florida, in Tallahassee from 1983 to 1988, Dr. O'Shaughnessy also spent a lot of time as a speaker in her field, talking about the various topics of nutrition and good health. She is a former president, board of directors and executive director of the International and American Association of Clinical Nutritionists, former board of directors and former co-founder of the Florida chapter of the International Academy of Nutrition and Preventive Medicine and longtime member of the North American Academy of Nutrition and Preventive Medicine as well. Earning a Bachelor of Arts at Saint Mary's College in Notre Dame, Indiana in 1961, Dr. O'Shaughnessy followed this accomplishment with a Master of Science in 1978 at Union University in California. She later obtained a Doctor of Philosophy at Donsbach University in 1979. In 1987, she completed postdoctoral coursework at the Union for Experimenting Colleges and Universities in Ohio. Interviewed several times on numerous television and radio programs for her work in nutrition, Dr. O'Shaughnessy has been cited in more than 25 editions of Who's Who in America, Who's Who in Medicine and Healthcare, Who's Who in the World and Who's Who of American Women. In recognition of outstanding contributions to her profession and the Marquis Who's Who community, Rosemarie I. Rao O'Shaughnessy, PhD, has been featured on the Albert Nelson Marquis Lifetime Achievement website. Please visit www.ltachievers.com for more information about this honor.